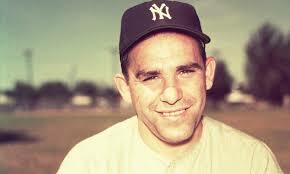 "It's deja-vu all over again" Some of you may recognize this as a quote from the one and only Yogi Berra. Others of you may feel it should be the title slide for this year's market. You're both right! Watch the business news on any given day and you will likely be left with the feeling of "haven't I been here before?" The headlines, the commentary, the market levels, the prices of your stocks - all of it likely looks very familiar as the market takes two steps forward, one step back time and time again. What's an investor to think about & do with all of this volatility and repetition? We have a few suggestions, framed by a few more famous "Yogi-isms"
"If the world were perfect, it wouldn’t be"
"If you don't know where you are going, you'll end up someplace else"
"You don’t have to swing hard to hit a home run. If you got the timing, it’ll go"
Thanks Yogi for the wisdom and thanks to all of you for reading.